The end of May marks the end of the network TV season. Since cable operates under a different schedule, there really is no precise start/end to the overall TV season. But this is the best time to assess, really, since all of my rotating shows have wrapped. My DVR is officially on hiatus. What a lackluster season it's been! I knew I'd feel the void left by Lost, 24 and The Shield last year, but I didn't think it would be this depressing. I usually like to litter my DVR with A-level shows but this year I settled with too many low B's and C's. I felt very indifferent about many of my long-running favorites. There were only five shows in the entire year where I felt excited to be watching them. I couldn't wait for the next installment. They were truly must-see TV. Faithful readers will know which two are my favorites. After an uneven and unfocused debut last season, Parenthood came together beautifully during this second season. Showrunner Jason Katims crafted some memorable and delicate arcs for the Braverman family this year, showcasing some fine performances all around, especially its young cast members. Katims also anchored the final season of Friday Night Lights, which did not disappoint. The writers had a chance to craft satisfying storylines that sent our characters off to their lives after high school football. This season reminded me so much of the first one, and that's how you end a series. Bring it full circle! The marriage of Eric and Tami Taylor is the most realistic and heartfelt I have ever seen on television. I cannot wait to see Kyle Chandler and Connie Britton in new projects. Texas forever! Modern Family, only in its sophomore season, continues to impress. Without fail, it's the only sitcom on the air that makes me laugh out loud week after week. I hope the writers can keep it going for a long, long time. 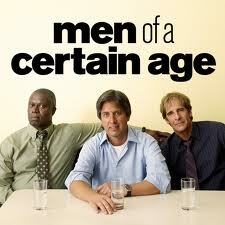 Men of a Certain Age also enjoyed a nice return for its second season. I really dig its laid back vibe and gentle humor. Ray Romano, Andre Braugher and Scott Bakula are truly delightful to watch as they stumble through work, marriage and life in general. It's a sweet and thoughtful drama. TNT only aired 6 episodes this winter, with the remaining 6 slated for this summer. I don't like this splitting-up-the season technique, but I guess that's how they roll. And the best new show of the year goes to The Walking Dead, a frightening series about a group of humans who struggle to survive as zombies take over the population. We've seen all of this before in popular films, but never as a recurring series. The pacing allows the characters to breathe life into a familiar story as we slowly learn why and how the "walkers" came to fruition. I cannot wait for season 2 of this intoxicating, slow burn thriller. 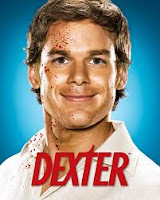 From its start, I've had a love/hate relationship with Dexter. It was never really a great show in my eyes. Poor character development and predictable arcs always kept Dexter down. The stories involving Laguerta and Batista are weak and inconsistent. Remember Doakes from the earlier seasons? He was the most grating buffoon to ever grace cable television! What did make the show work was Dexter himself, whose moral compass always made for fascinating viewing. Last season's central arc -- featuring John Lithgow as a fellow serial killer who went toe-to-toe with Dexter -- was the series high point. I was worried that this season wouldn't be able to live up to that, but pleasantly enough, it held up just fine. Julia Stiles was a welcome addition to the show this year, but Dexter really got moving when Peter Weller showed up in the last half of the season. Even after 5 seasons, the writers still impressively manage to keep the premise intriguing. I was weary about Louie when I gave it a shot last fall but I stuck with it and I'm glad I did. It's one of the most unconventional sitcoms I've ever seen. There is no concrete narrative here. It's like performance art disguised as a sitcom. We're watching comedian Louis C.K. in a series of vignettes that correlate to his stand up routines. Even for a show on FX, this is dark, racy stuff. Louie is also surprisingly moving and bracingly funny. Consider me hooked. This is where things went downhill. 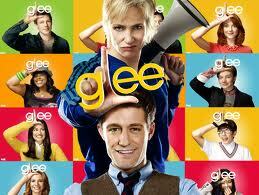 Glee proved to be the most disappointing of all of my shows this year because it had the most potential. Season 1 was fun, fresh and just wildly different from anything else on TV. Season 2 saw Sue become a tiresome, grating character and, along the way, Will Schuester turned into a stiff. While it was touching to see the Glee club put together a fitting tribute for Sue's deceased sister, I felt no empathy for her character. She has become so wildly over the top that she hardly ever appears human. Emma Pillsbury barely registered this season; her arc with John Stamos happened offscreen (what a waste!) and are we supposed to feel something as she continues to pine for Will? Even the guests overstayed their welcome. Gwyneth Paltrow was fabulous during her first appearance early in the season, but her inevitable return wasn't nearly as magical. (Ditto for the boozy Kristen Chenowith.) The kids and their music are still the heart of the show and they kept me entertained enough to keep me from tuning out. I dug the Britney and Madonna tributes (as well as the recent Mellencamp hour), but the majority of the musical set pieces this season felt very run-of-the-mill. I'm hoping a few game changers will shake things up because in the years to come, I'm not so sure how much more patience I will have with the jagged plotting and character inconsistencies. On the upside, How I Met Your Mother reversed its downward spiral that started during season 5 (a dreadful, forgettable year), thanks to fresh and exciting new arcs this season. John Lithgow's turn as Barney's father was inspired casting and nicely handled by the writers and Neil Patrick Harris. The death of Marshall's dad injected new blood into the series and gave the show much needed gravitas (we always knew NPH was a star, but watching Jason Segal emerge as one is incredibly satisfying). However, the less said about Zoey and the writers' tiresome quest to tease us about the "mother," the better. I've learned not to focus too much how Ted eventually becomes Bob Saget and who the mystery woman of the show's title will be. These shows have worn out their welcome. 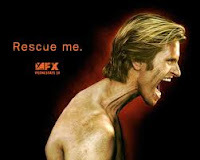 I've grown tired of Grey's Anatomy, Desperate Housewives and Rescue Me, but at least Rescue Me knows that it's time to go. This summer, FX will air its final season. The last few seasons have been wildly inconsistent, though the latest did have its share of funny and shocking moments. The show will always be remembered for its camaraderie between the firefighters at the station house. Some of their conversations are raunchy and truly hilarious, and this is what gave the show its heart. And when will Grey's Anatomy hang up its stethoscope? I had to bow out of ER simply because it grew tiresome, and I'm hoping I don't have to do the same for Grey's. This season saw some of their strongest arcs in a while -- the aftereffects of last year's hospital shooting; the Alzheimer trials and how it affects Meredith, Derek, and the chief's wife; the unique triangle between Callie, Arizona and Sloan. All strong stuff. The musical episode landed with a resounding thud while the overpopulated hospital continues to ignore interesting characters like Jesse and Lexie and focus too much time on Christina, Owen and Teddy. In light of a strong finale, I'll give Grey's another season before deciding to jump ship. Ditto for Desperate Housewives, which I'm surprised I'm still watching to this day. I do have to give it credit, though. It's engaging, sometimes funny, and the girls look fabulous. The addition of Vanessa Williams is an inspired one -- her character has grown a bit throughout the season, and I like her more than Dana Delaney or Nicollette Sheridan. But everything else is just stale. Case in point: the central murder mystery dates back to season one, involving Paul Young and Felicia Tillman. Could the show possibly out date itself any further? Tom and Lynette are still my two favorite characters, but even this year, I was growing weary of Lynette's overstepping of her boundaries. And the less said about Gabrielle's switched-at-birth storyline, the better. The writers need to plant a bomb on Wisteria Lane and kill everyone off. That'll shake things up. Or better yet, the network just needs to cancel the show. Everyone here is looking desperate, indeed. Mr. Sunshine was a dud. With a cast that included Matthew Perry and Allison Janney, I was so hoping it would improve but it became really tough to watch. As talented as these folks are, the show just wasn't funny. It won't be back next year, but there are a lot of new shows debuting this fall. 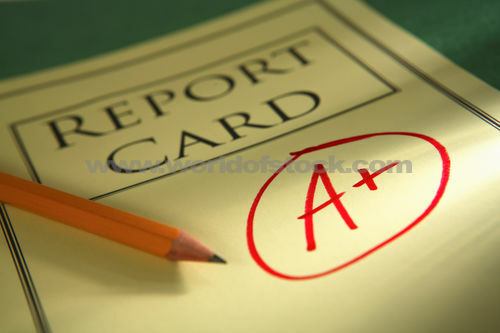 I'm unsure which ones I'll try out, but hopefully next year's report card will see more A's. HOWEVER, I would love to check out The Walking Dead. My personal favorite TV show is It's Always Sunny in Philadelphia, which I watch through Netflix and Hulu. @Andrewmeister/Drew/Andrew (you are a man of many names, aren't you?) - The Walking Dead should be on DVD soon, if not already. The second season kicks off in October, I believe. Look into it! I never watched Sunny, but you'd think I would since I work for the network that makes it! I do like my comedy offbeat, but I think it may be too offbeat for my tastes.